When Justin Lin was circling Terminator 5 he spoke about some of the ideas he had for the film and this script was born. All told I spent the better part of year in research, writing and the polishing Rebirth into the script I am releasing today. Hopefully it’ll help tide fans over until the increasingly awesome sounding Terminator: Genesis hits next July! I hope you enjoy reading this script as much as I did writing it! After a short exchange with a good friend on facebook I wondered if I hadn’t quite gotten the point across. In order to try and figure that out I realized that I had to ask a couple of questions that will likely expand further but the questions are as follows. Is there a significant difference between between the way Writers, Writer/Directors and Directors who write tackle the possibility of starting on a possible continuation of a project down the line? In other words if a passion project seems likely to continue moving forward, regardless of if it happens right now or long into the future, is there a difference between how these three groups of people would tackle said project? And how could their faith impact their actions? Terminator 5: Dawn of The New Screenwriters! It’s with a somewhat heavy heart that I write this official Terminator 5 news update as it means that I’ll no longer have to defend Ferris and Brancato on another Terminator script. Seriously though this news both excites me and bums me out since I spent a good deal of last year working on securing this very project. However I’m also happy since that means Laeta Kalogridis (Avatar/Shutter Island/Alexander) and Patrick Lussier (Wes Craven’s Dracula/My Bloody Valentine/Drive Angry (Writer and Director) are going to be the ones to receive any blow back from the fans if the film under performs. It’s and interesting duo that’s for certain however I know that Terminator rights holder Megan Ellison isn’t into making stupid decisions. She is after all behind such awesome films as Zero Dark Thirty and The Master and is very serious about making great use of the Terminator name. This is someone I fully trust to know what they’re doing. Apparently the Laeta/Lussier was combo writing a SF original for David Ellisons’ Skydance Productions and was so impressed with it that he landed them the Terminator job. There are a total of 7 people on the writing staff of Terminator: The Connor Chronicles (T:TCC) I think that’s a grand number, it’s also the number of perfection so I suggest we leave well enough alone on that point. However how does writing work with a seven person team, or to be more specific how does re-writing work? Let me share with you a few things that I took into my first re-write so that you can understand how the process works. First of all while the latest update at the main page Terminator: The Connor Chronicles says that I’m the 2nd writer on the series, (and I do truly feel humbled by that), I am in fact the most recent hire. I’m coming into a project where we have first drafts written for 90 percent of the episodes, in other words other writers have poured their time, energy, effort, and writing skills into these scripts. 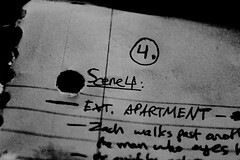 Which leads to my first rule of rewriting especially of other peoples work. Treat the draft with respect. I’m Now a Writer for Terminator: The Connor Chronicles! find interesting or make myself. However one look at the title in the address bar reveals that the primary reason I made this blog was to talk and discuss Terminator related items and articles. I’m so very happy to be doing that again, as I’m pleased to announce that I was approached by a friend, and welcomed by a new friend to be part of Terminator: The Connor Chronicles (T:TCC)! Some of you may be asking yourselves what is T:TCC. I will lightly touch upon a few things here but you can follow this link to find out much much more. 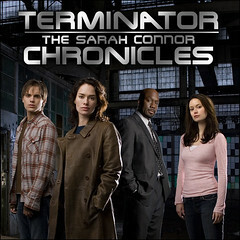 Terminator: The Connor Chronicles! It’s a unofficial, non profit, CGI continuation of Terminator: Sarah Connor Chronicles. Over 4o big time fans are hard at work to bring the universe back to life. I am part of the writing team working hard to bring an excellent story line to tip top shape. I’m currently hard at work writing a new draft of Episode 3 and it’s coming along very nicely indeed. To say this was unexpected is an understatement, I knew very little about T:TCC through the first friend listed above before hand- as she mentioned in passing months ago that she was doing voice acting for a Terminator related project. I never once thought I would end up writing on said project, but I’ve very glad I am. This year has been full of Terminator surprises and to be honest it’s a great way to cap off the year….though having a killer interview with Verizon this Thursday would make it even better. So keep watching this space…within the next few days I’ll be writing a post about how I have approached re-writing on the project and there will be other articles in the future about Terminator: The Connor Chronicles. Way back in 1999 I with the help of a good friend released my Terminator fan script Terminator 3: Final Retribution (T3:FR)onto the internet. The site went through a number it iterations including hosting through two different services, a liquid metal logo animation, message boards and even a Future War set written Terminator RPG. You can still find on of the old sites on the internet to this day, it features artwork by another friend, Terminator short fiction and who knows you might even be able to still read the script online! If not you can download it from Terminator Files- They have absurdly detailed files! look under Scripts. On top of that just like my inspiration in screenwriting Jim Cameron would draw artwork I also did some drawings as as part of the Digital Restoration Project I’m going to upload some artwork that I did around the time of the website release. So prepare to be Terminated by mediocre artwork as we travel back to 1999! In T3:FR I wrote a direct follow up to Terminator 2: Judgment Day in which General Connor came back through time to protect himself and stop Skynet from two Automated Personell EXterminator Terminator units sent back through time by Skynet to kill off John Connor in the past. Here is a sketch of Apex One based on a certain actor. After the break meet his female counterpart and find more art from 1999’s Terminator 3: Final Retribution! Zack Stentz Writes NoFateCon into His Calendar! My writers sense is tingling! Man I am so damned excited now if all things work out I’ll finally get to meet ZACK STENTZ! Heck maybe…nah…well maybe…there I go thinking out loud again. Zack wrote imho some of the very best episodes of T:SCC and he’s still writing for television and movies with writing partner ASHLEY MILLER. Perhaps you saw a tiny movie called THOR or another little flick called X-Men First Class? Yeah…that’s my dudes right there. Don’t forget to check out The NoFateCon Website where you can find out more about this excellent event! New MEG Trailer for MEG ORIGINS! This is breaking as i only got to my e-mail today and foun a new news update from the awesome Steve Alten author of many books in his case focusing on the MEG series. It seems he’s released a new E-Book called MEG: ORIGINS. 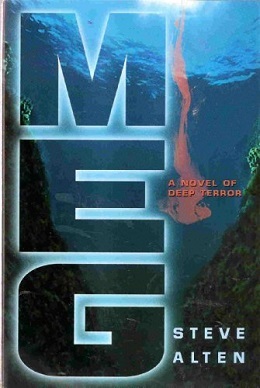 Here’s the trailer for the book…I can’t wait for the MEG movie to emerge from the Abyssal Plain that is Hollywood! Congrats Steve thanks for keeping us up to date!